So thrilled that your daughter was able to safely enjoy her first time trick-or-treating! 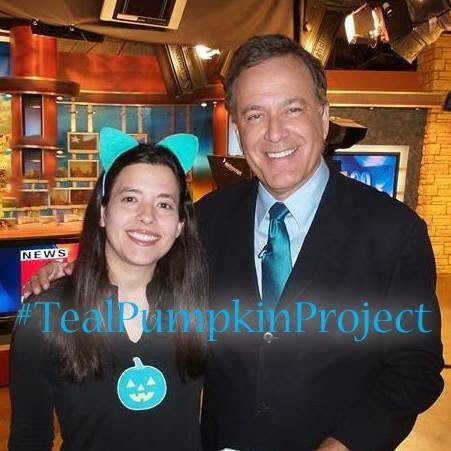 That's great that your daughter was able to participate, and that she got so much joy out of handing the glow sticks out as well as trick or treating for the first time! 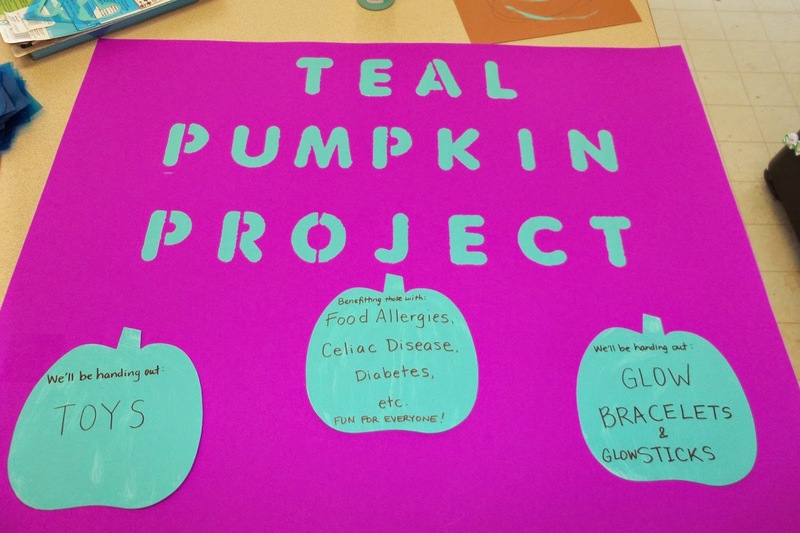 We participated in the teal pumpkin project as well, although our coordinated Wiggles costumes got us chatting with the neighbors while we were trick or treating, and so there weren't very many trick-or-treaters left by the time we got home. I'd still participate every year, even if nobody in my neighborhood ever recognizes it. Such a great program! So glad you got to help out with spreading the awareness of it!